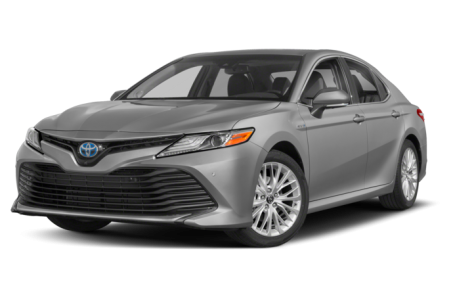 The 2018 Toyota Camry Hybrid is the more fuel-efficient version of the popular midsize family sedan. It competes with the Ford Fusion Hybrid, Hyundai Sonata Hybrid, and Kia Optima Hybrid. The Camry Hybrid can switch to normal, EV (electric), and Eco driving modes. The battery pack is mounted between the rear seats and trunk. This year, it has been redesigned. Three trims are available: the LE, SE, and XLE.